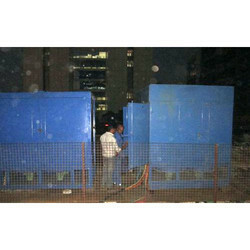 Leading Service Provider of resistive load bank, ship generator load testing service, inductive load bank, load bank testing night service and generator electricals load bank from Mumbai. 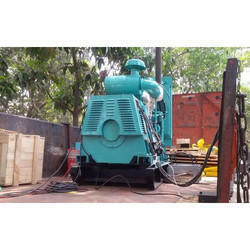 Usage I.T Industries / Generator Testing / UPS Testing / Turbine Testing / Ship Generator Testing. With the continuous support and sincere efforts put by our experienced professionals, we have been able to provide our clients superior quality Resistive Load Bank Rain Load Bank Testing Service. The provided service is rendered using excellent quality inputs. Apart from this, owing to its flawless execution, and promptness, this service is valued by our clients. Usage Shipping Industries / Data centers / call centre / ups testing / DG set Testing / Turbine Testing. 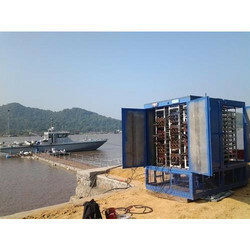 We are well known in the market for offering Ship Generator Load Testing Service to all clients from electrical industry. These services are provided by skilled workers employing advanced tools and machines. All these services are appreciated for their effectiveness and reliability. Moreover, we render these solutions to the customers within the given time period UPS Load Testing. Our Company is the well-known name in the market for offering the best quality Inductive Load Bank. Executed with the assistance of experienced employees, these rental services are commanded in the market. While executing these rental services, we use advanced technicians. Engineers of Sachin Electricals don’t see the time if the work is the concern. We also work during night time. We also use Resistive Load Bank. They are always ready for the work which is said by Mr. Sachin. Under his supervision, complete project will be undertaken and get it done on time. We never gave late delivery to a client is our USP. We are having more than 10 years of experience in the respective business. We are offering this Load Bank Testing Night Service in various specifications. We are offering our clients with Load bank resistors that find extensive application in particle accelerators. 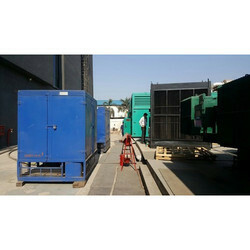 To furnish the diverse requirements of clients, we are engaged in offering Generator Electricals Load Bank. These services are rendered by the experienced person as per set industry values. In addition to this, these bank testing services are offered at reasonable prices to attain high customer satisfaction.